I am actually playing in Marget Valley right now (Sunset Valley), with Molly and Sandi French, and Sandi was too cute not to share ! She's gonna age soon so I have to take lot of screenshots of her while I can. Oh my goodness, she looks adorable! Did you edit her? I remember her been a wee bit scary. (01-17-2019, 10:20 PM)Hellfrozeover Wrote: Oh my goodness, she looks adorable! Did you edit her? I remember her been a wee bit scary. Sandi's adorable! 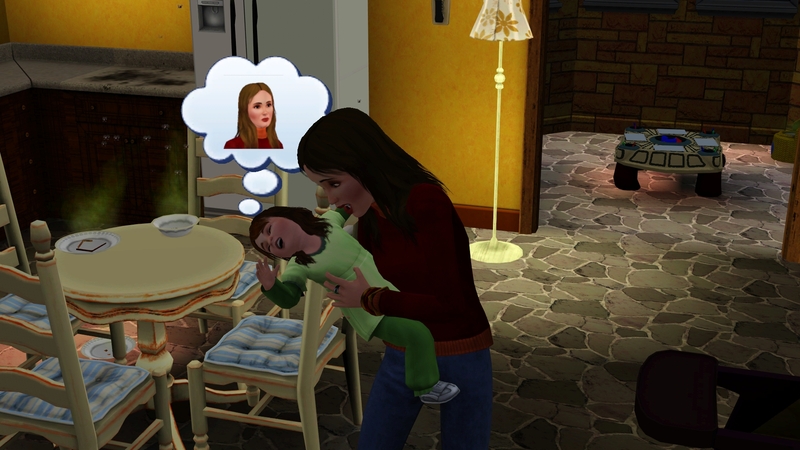 I've always felt quite sorry for her, Molly can be such a terrible mother! I still think that going by her features, Jared Frio is her father and they forgot to assign him! On the subject of unknown fathers, I had an interesting situation last year in my game. 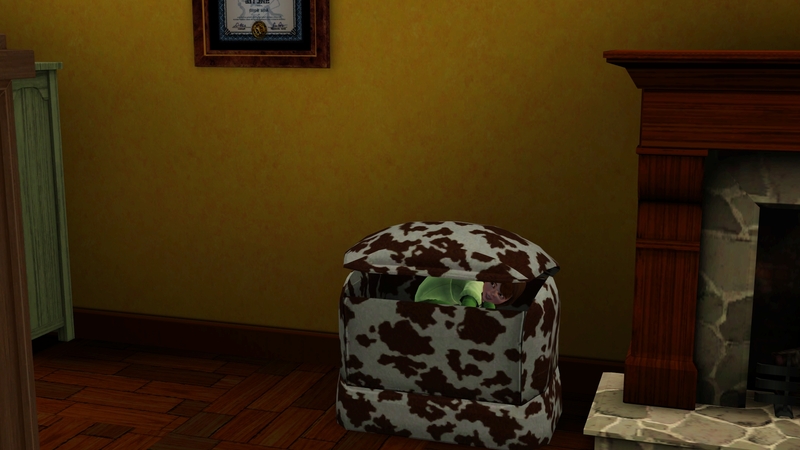 I was playing in Sunset Valley with no mods or CC (I had to re-buy my Sims 3 discs due to no internet connection, so I was only on patch 1.63 and couldn't really use my 1.69 Nraas mods) and for once, the game was actually chugging along nicely. 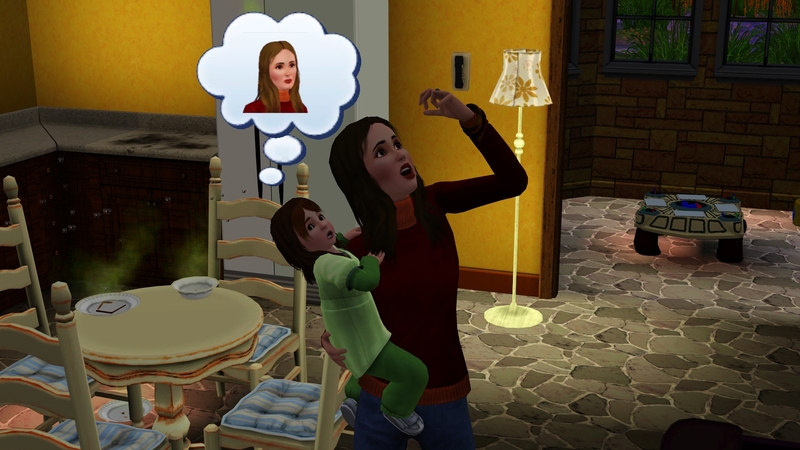 Anyway, before I had any EPs installed (I was playing base game only at the time these incidents occurred), EA's story progression gave Christopher Steel a baby girl with no mother listed. There was literally no mother in the family tree and he hadn't been romantically involved with anybody. She didn't look like him (she was blonde) and in the end, while she was in her teens, she moved out and moved in with somebody else (I think it was the Goths). Anyway, around the same time, River McIrish aged up to Young Adult and had a baby. However, the baby had no father listed in the family tree. Shortly after that, River left the town but didn't take the baby with her - he stayed behind with Fiona. At the same time River left town, so did Parker Langerak and Cyclon Sword. Any ideas? 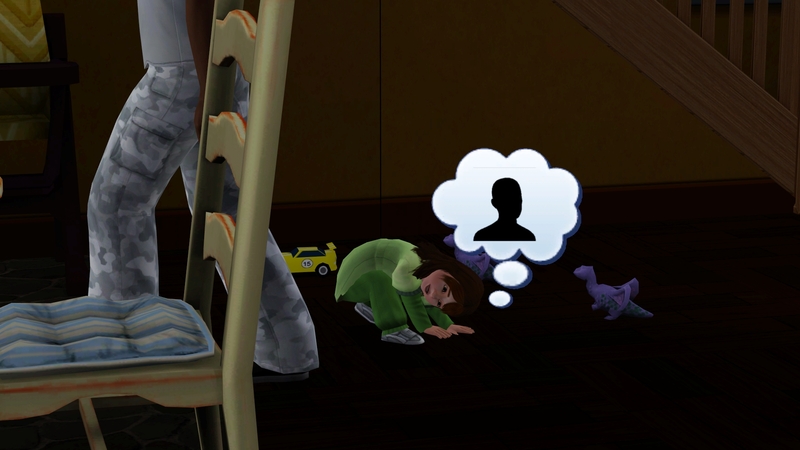 It was pretty interesting to start having some random children appear and I wondered if EA's story progression ever handled inactive adoptions? Did the babies have EA pudding faces? That's really strange, I didn't realise that it could happen! If I recall, yes they did. Sometime soon, I'll have to try and remember to take some screenshots.